As the country sways in the wave of the 17th Lok Sabha elections and readies itself to vote, Telangana has a reason to be happy. 2018 welcomed the Naa Vote app, courtesy Telangana government, in collaboration with Hyper Thread Solutions and the NGO, Let’s Vote. The Naa Vote app since its release in December 2018 has been downloaded by more than 1,00,000 downloads. 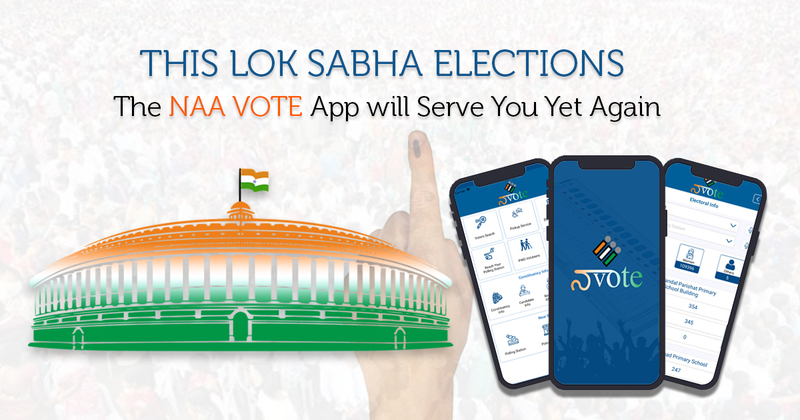 While hitherto the app had offered the data about the contesting candidates, this time voters will also be able to view information and data regarding assembly constituency-wise Block Level Officer, making it easier for voters to get the information they need. The app will also provide the list of voters in various constituencies under the categories of men, women, others and persons with disability. Tired of being unable to find the right search result because you misspelled something? No more. The new improved Naa Vote comes with superior voter ID search refinement feature t handle misspelling and fetches better and more accurate search results for voting information. Apart from finding the locations of and the directions to the polling centers in your constituency, you can also find the location of and the directions to the Mee Seva centers in your constituency. For filling any requisite forms for voting, the app offers forms embedded from the National Voters’ Service Portal (nvsp.in) for the convenience of the voters, letting them access the right forms directly without having to leave the app. Apart from these, several other existing features make it just the app you want for finding election/voter information at your fingertips. The app is as easy to download as any other app on the Play Store as well as the App Store. It has an easy-to-use user interface that can be used by voters of all ages. Besides, it’s available in English, Hindi, Telugu, and Urdu to cater to the convenience of its users. All that one needs to get access to all the important information related to elections/voter is feed in the EPIC number, area, and constituency. You do not require any sort of registration process (something that makes things tedious and dissuading for users) to find information using this app. As long as you are filling voter details, the app will give you access to the information you need. So, Telangana, go vote and exercise your fundamental right this April.